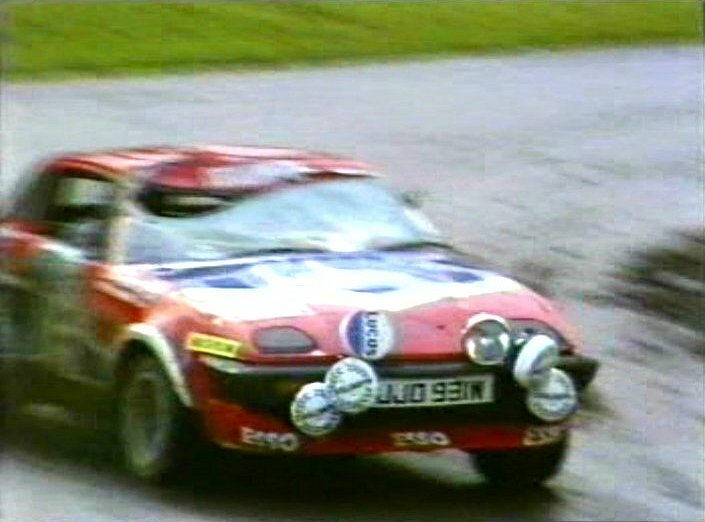 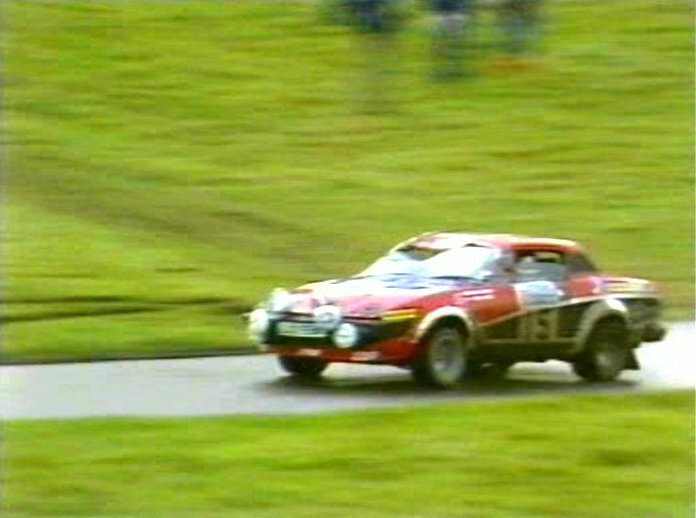 IMCDb.org: 1980 Triumph TR7 V8 in "30 Years of the RAC Rally, 1991"
JJO 931W was Tony Pond/Fred Gallagher, #15, finished 7th on 1980 RAC, which was 931W's only works appearance and the last event for any works TR7. 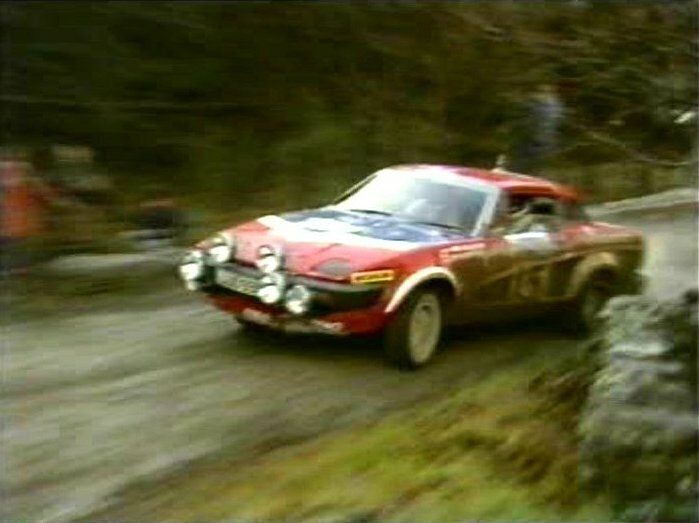 Registered August 1980. 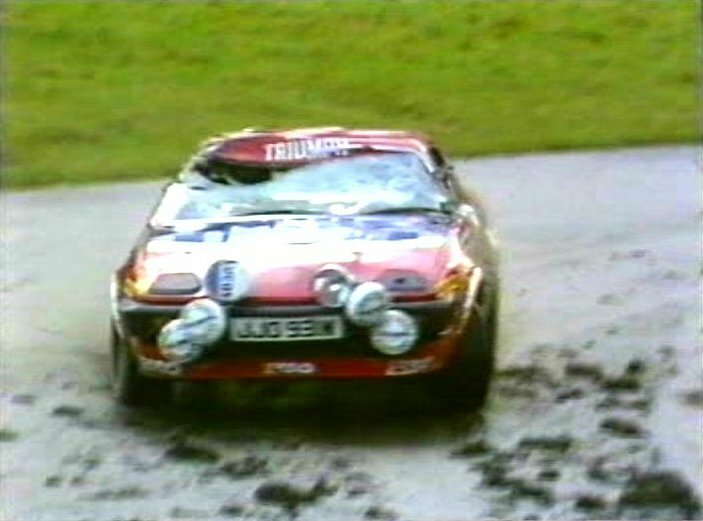 The crumpled roof was apparently caused on an early stage through Longleat Safari Park where Pond slid off the road and hit a lion feeding table. 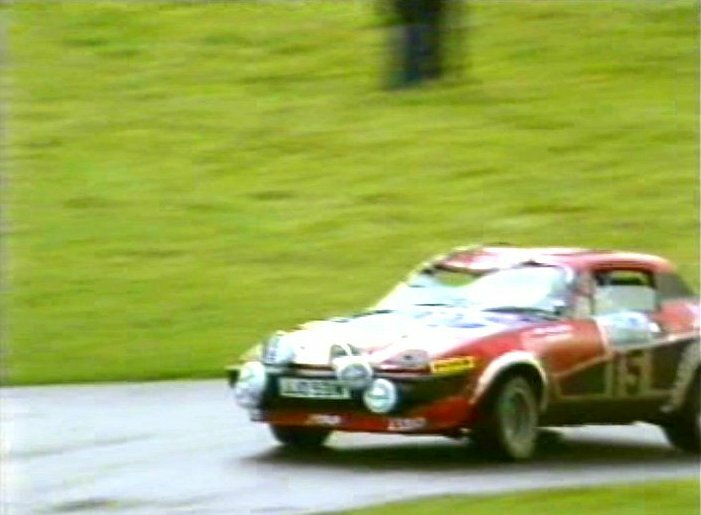 (However this was not an attempt to recreate East African Safari atmosphere in UK as all the animals had been shipped elsewhere).